Central Coast SME StopRotor has shaken up the defence and civil aerospace markets with its innovative drone technology. StopRotor is focused on the development of a 20-kilogram MTOW Unmanned Aerial Systems (UAS) plaform combining VTOL helicopter performance with long-range, long-endurance fixed wing capabilities for civil, government and military markets. StopRotor won the Best Innovation – Aerospace Award this year at the Avalon Airshow and was named one of Australia’s top five startups at the NSW government sponsored Bridge to MassChallenge event. 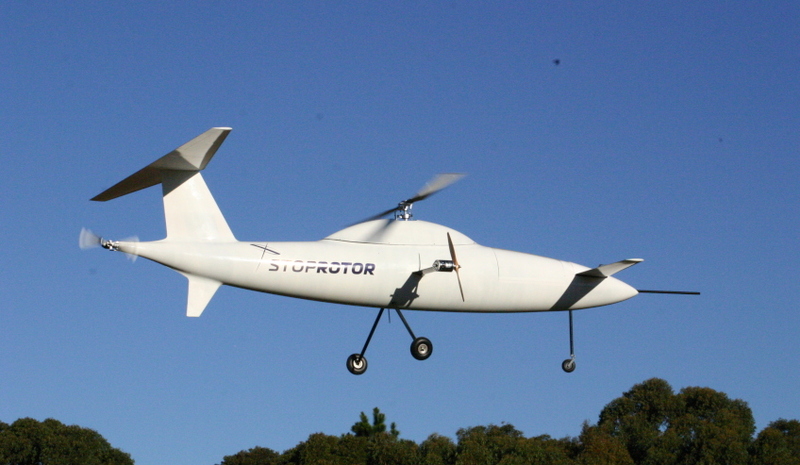 StopRotor managing director Deanne Watkins said its unique design allows the UAV to take off and hover like a helicopter, but also reach speeds of 110km/h for up to 10 hours. "Not only does the StopRotor have outstanding manoeuvrability and endurance, it is larger than many drones at three metres long, 20 kilograms and a two-metre wingspan,” Watkins said. "The MassChallenge experience sharpened our company’s focus plus provided valuable business mentoring and global contacts. Avalon was fantastic and absolutely pivotal for getting us in front of the civil and defence sectors." NSW Deputy Premier and Minister for Small Business and Skills John Barilaro said the innovative new technology is a great example of small businesses in NSW creating new technology to meet the demands of modern workplaces. "The StopRotor is a brilliant NSW invention designed to solve a longstanding limitation in aerospace and target the top end of the small UAV market," he said. "StopRotor Unmanned Aerial Systems have generated a lot of commercial interest, particularly in areas of environmental surveys, coastal protection and supporting public safety. "This is one of the most exciting new companies in NSW and was last month named one of Australia's top five startups at a MassChallenge, start-up accelerator event in the United States, supported by the NSW government through Jobs for NSW."